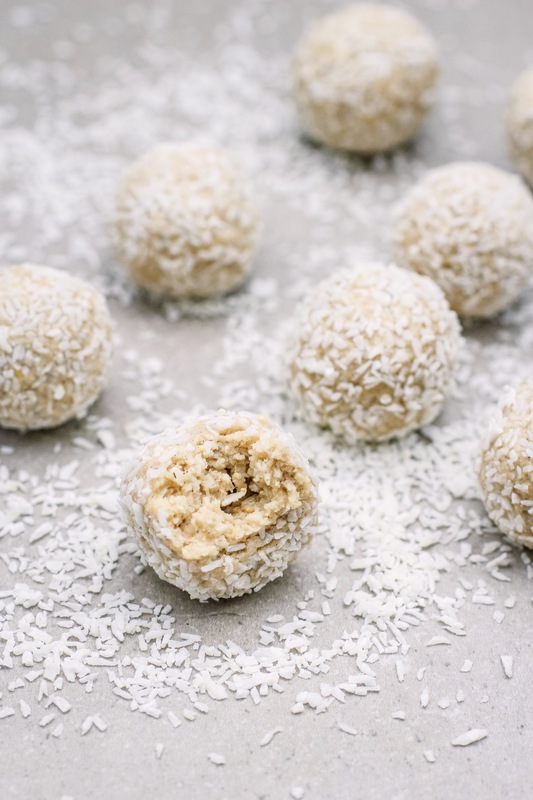 These seriously rival my Cookie Dough Balls for the top spot in my list of favourite treats. The recipes are really similar but these have a gorgeous milky, coconutty flavour that’s just so moreish. I love that there’s only 5 simple ingredients, and best of all there’s only a tablespoon of maple syrup in the whole batch but they taste super sweet. They’re the perfect grab and go snack. Preheat the oven to 180’C. Roast the cashews at 180’C for about 8 minutes until golden. When the cashews are cool enough to handle, add them to your food processor and blend on high. Keep blending, scraping down the sides as needed, until you have a very fine cashew flour. Add in the vanilla powder and desiccated coconut and continue blending until it is so fine that it is starting to stick together like the very early stage of cashew butter. Drizzle in the melted coconut oil and maple syrup. Blend on high until you have a smooth mixture. 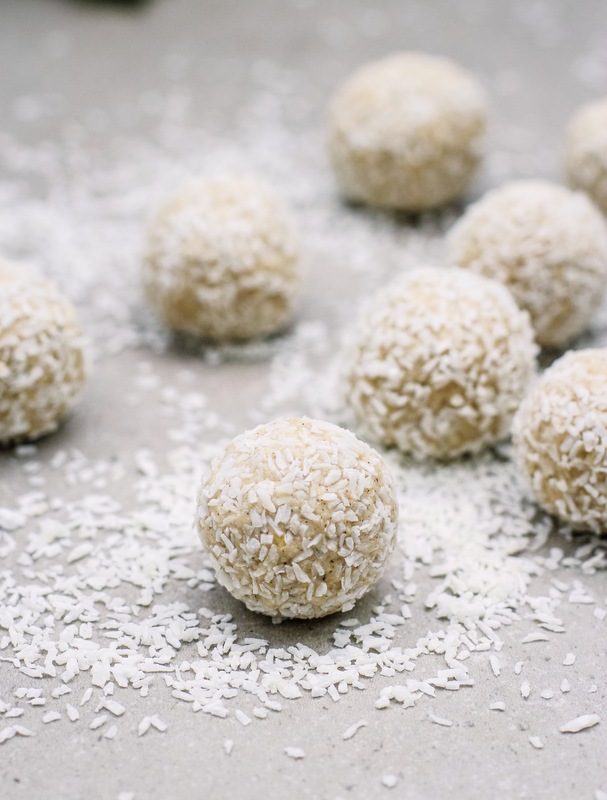 Use your hands to roll the mixture into balls and then roll them in some more coconut to coat them. Just wondering where do you get your vanilla powder? What brand is it? Hi. Just wondering can I substitute vanilla protein powder in recipes where you use vanilla powder?